It was late November before we really got underway with irrigation but it ramped up quickly and by mid-December we were receiving orders for over 5 cumecs. The big rain just after New Year knocked things back for a few days and then demand grew steadily from there to peak at about 6.2 cumecs just before the end of January. We are currently supplying about 4.2 cumecs. The chart below shows the pattern of the season’s water orders to the end of January. The relatively high irrigation demand has seen some of the schemes near full capacity and has shown up a few areas where additional maintenance or modifications have been necessary but, overall, water supplies have been able to be reliably maintained by Steve, Chris and our new staff member Kerry. We have been able to successfully completed five flood flow rounds in the Levels scheme this season – something we struggled with in last year’s stop-go season. Looking ahead already to winter maintenance, there are a couple of major items on our list already. One is the repair of the pipeline under the Tengawai River that supplies Sutherlands – this pipe was dislodged during the August floods and while it has remained operational we do need to reinstate it in the riverbed. The other area we will have to consider is the communications and control systems we have for the intakes at each of the schemes – these systems have become unreliable and outdated and we will be assessing options to replace or upgrade certain aspects of these. The lake was filled in August and was able to be maintained near full right through to Xmas. The heavy nor’west rains just after New Year delivered more than we anticipated and raised the lake well above the sill level. With a similar pattern forecast for the following week, we decided we needed to spill only to get a meagre 3mm of rain actually arrive our side of the Divide. We have been able to generate at higher levels than planned every month since the start of the financial year so we are doing well with generation income this year. Our generation contract has worked well for us this summer maintaining good contract prices when Spot Prices have been very low. The power station has been very reliable with our only major issue being the reliability of the communications link for several months up until January. We completed some substantial work down on the embankment of the downstream weir including upgrading the access track down the right-hand side of the regulating pond. We have carried out several investigation activities at the downstream weir as part of our plans to upgrade the structure. 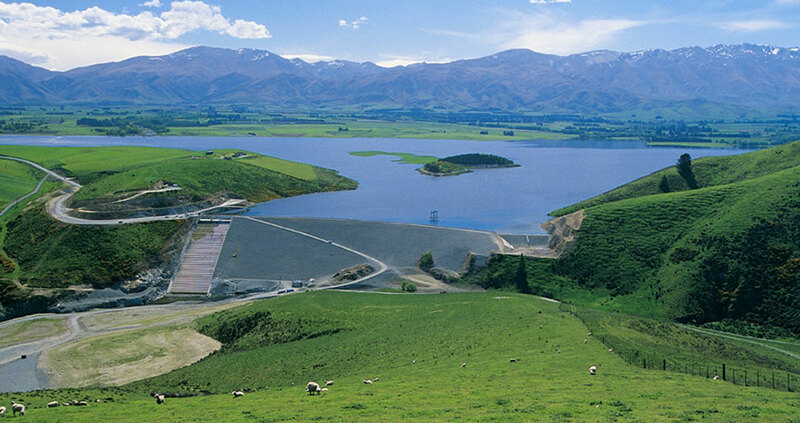 We are moving ahead with the detailed design phase for the downstream weir upgrade which will entail the construction of a new separate spillway structure located towards the right-hand side of the main embankment. We are still investigating whether it is viable to installation a small hydro generator in the new structure.